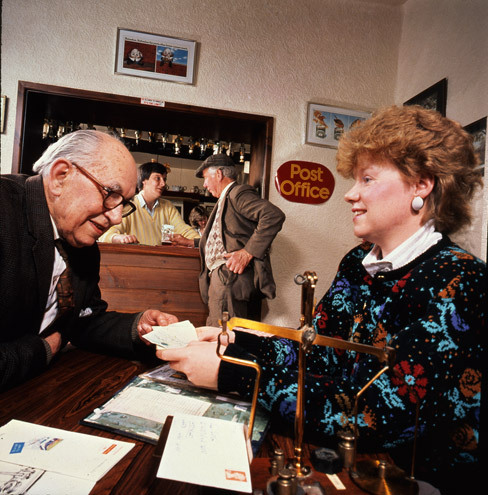 Our current The Post Office in Pictures exhibition at The Lumen URC was conceived to show how ordinary peoples’ lives were changed through the service that the Post Office has provided. 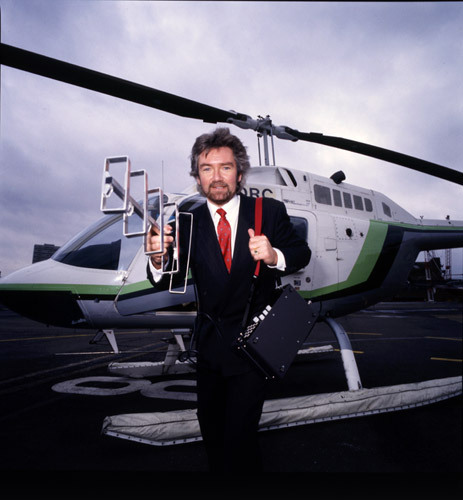 Through images of postmen and women delivering mail and serving communities in all sorts of conditions, we have endeavoured to show a unique service, second to none. What we’ve also found through our research, is how service has shaped the lives of those choosing to serve. One of the more surprising and moving stories is that of John Rooney. 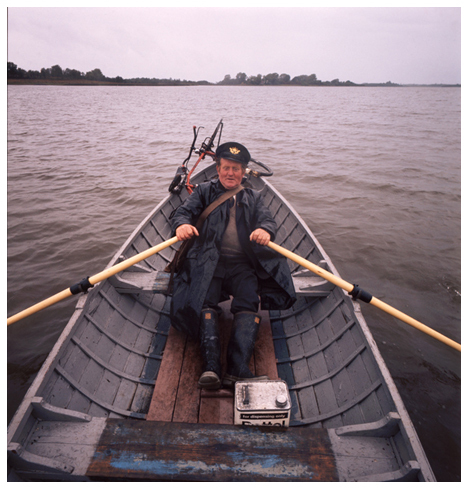 A wonderful image of him rowing towards Trannish Island on Upper Lough Erne, Northern Ireland is featured in the exhibition but, were it not for a tip off from Peter Howe, the former Post Office photograph librarian, we would not have known of the richer, more heartbreaking and, ultimately wonderful story that surrounded his service in a remote part of the United Kingdom. John Rooney rowing towards Trannish Island. When discussing the exhibition, Peter told me that John was not the first Rooney to be postman for Lough Erne and proceeded to tell me the desperate tale of his brothers, William and James. William Rooney was the postman before John and it was he that would row across the lough to each island, delivering the mail to each inhabitant. On a very cold evening on Friday 29th December 1961 he was returning across the lough to his home on the island of Innishturk. The lough had frozen over and William had to break the ice in front of him. Close to home, the ice became much worse and held his boat fast. In the worsening conditions William’s brother, James, set out in another boat to find him and bring him home. Neither brother returned and, when a search took place the next morning, both were found dead in their boats on the lough. I was able to verify Peter’s story from a poignant article written by S.G. Coulson in the Post Office magazine from February 1962. Tribute to William Rooney, The Post Office Magazine, February 1962. 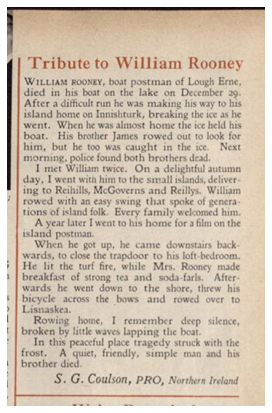 It seems then, that after the tragedy that befell his brothers, John Rooney took up the service of delivering mail to the inhabitants on Lough Erne. Peter also told me other details about John Rooney that I’ve yet to confirm. One of these is that postal workers across Northern Ireland and the United Kingdom began a fund to help the Rooney family in their hour of need. Enough money was raised to build a house for John’s and his mother. It doesn’t matter how far off the beaten track people live – they’re still entitled to a postal service. And it’s thanks to people like John Rooney that they get it. 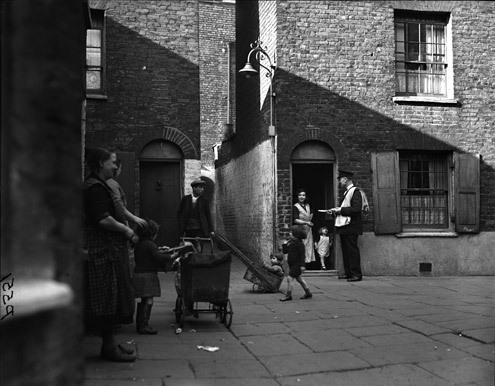 The Post Office in Pictures photo exhibition is at The Lumen URC, Bloomsbury, London until Friday 31 August. Visit the BPMA website to see an online preview. Images from the exhibition are available as greetings cards. 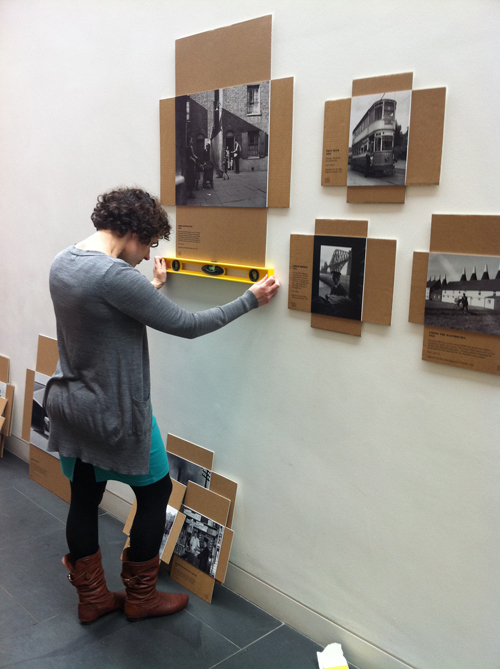 Our photo exhibition The Post Office in Pictures is now open! 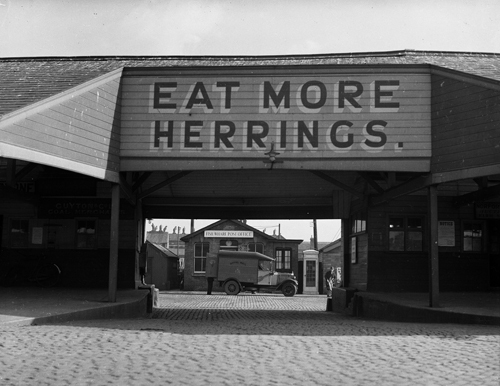 It showcases a selection of inspiring images sourced from our vast collections. From strange creatures sent through the post, to the daily deliveries by land, sea and air to every corner of the country, the photos featured offer a fascinating series of windows on Britain from the 1930s to 1980s – including some of the more unusual, unexpected and unseen activities of the Post Office and its people. The exhibition is at The Post Modern Gallery in Swindon until 5 November. The Gallery is open from 11am to 5pm Monday to Saturday – for full details see our website. Join us for an evening exploring crafty connections between the photographs on display and a range of arts and crafts techniques. Enjoy a glass of wine, see practical demonstrations, and then have a go at something yourself, inspired by the fascinating images featured in The Post Office in Pictures. Put yourself in the Picture and create your own magazine front cover with you as the star! 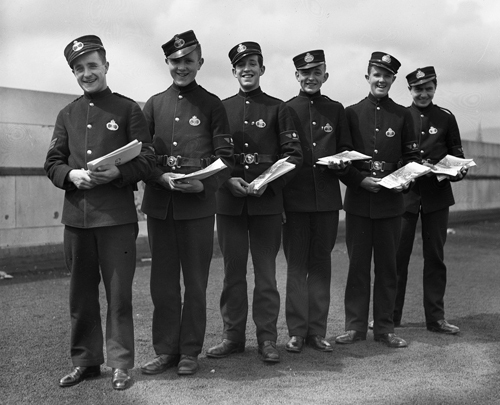 Use real post office uniforms for added authenticity. Create your own Finger Puppet Postman from felt, and make a cap badge or armband based on what you can see in the exhibition. Real objects will be available to handle for added inspiration. Why not bring along your camera to the fun day and take part in our Photographic Scavenger Hunt? 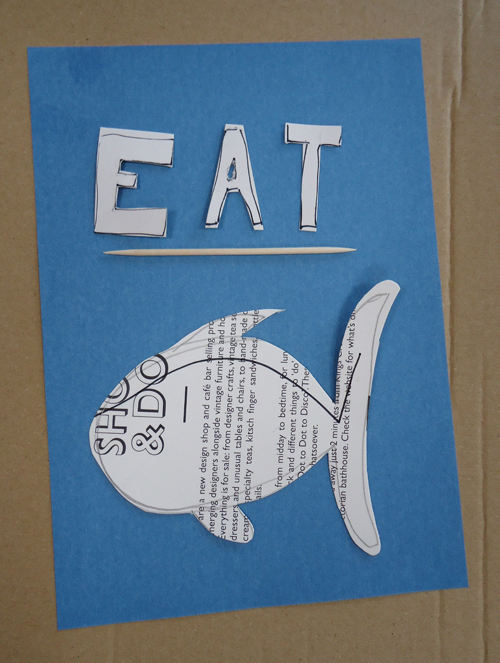 Pick up the clues from the Post Modern, search Swindon for the postal items and snap as many as you can, and then return to the gallery to record your time – the fastest family over the two days will win a fantastic prize. 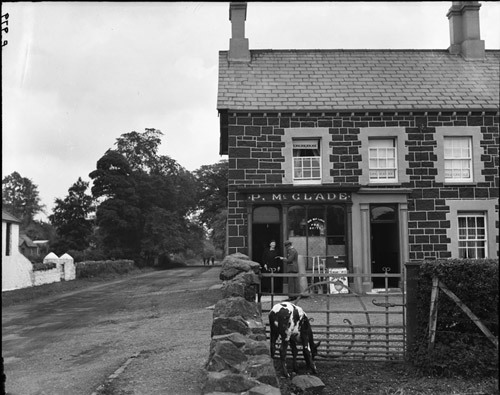 For more on The Post Office in Pictures see our online exhibition. Large versions of the images from the exhibition can be seen on Flickr. Photos from the exhibition are available to buy from our Print on Demand website.